Summer is the time for weddings. 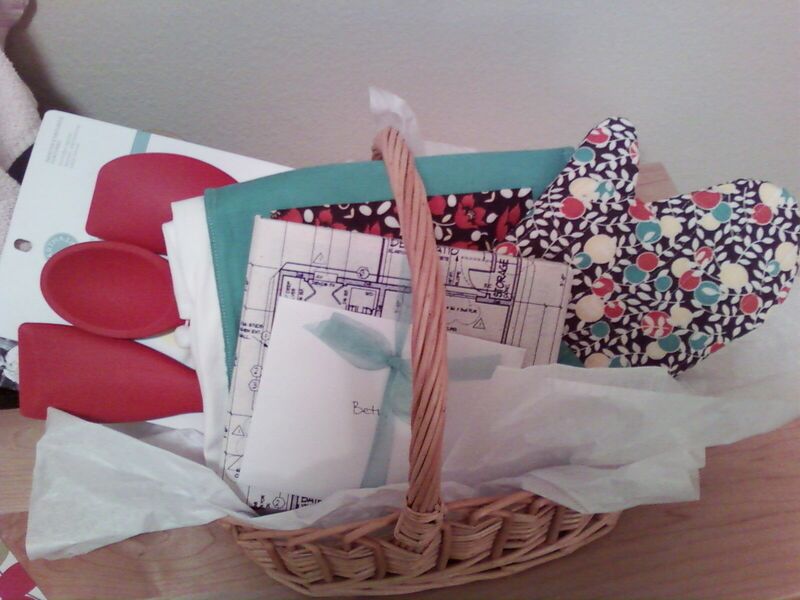 It's a great opportunity to try new things and make cute stuff for the bride-to-be. I find that I love my Denise Schmidt Quilt Book more and more. So far I've made a quilt, oven mitt and slipper from it. In preparation for my friend Beth's bridal shower I made another oven mitt and the apron. The patterns were easy and quick. The fabric was from a fat quarter pack of Hello Betty by Moda. I love, love, love this fabric! I've used it on so many projects. I wanted to get more yardage just to add to my stash but by the time I discovered that I loved it it was already gone.